Turning misconceptions of street children in one of the world’s poorest countries, Ethiopia, on its head. Expect beautiful images, positive stories and a hopeful message, you really can 'Expect More' from this exhibition. This exhibition presents images that challenge the audience perception of what it means to be a street kid, offering a positive portrayal of young people living and working on the street. Strong, intimate portraits give an insight into the characters with a beautiful treatment and strong grade. Photography by Simon Hanna and short films by Short Form Film Co. 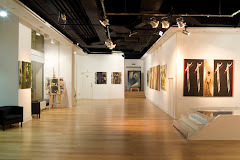 The Royal Opera Arcade Gallery, 5b Pall Mall, London, SW1Y 4UY. The exhibition launches the 'Expect More' campaign with the aim of raising £75,000. Street Kids International challenges you to expect more for street kids, expect more from your donation and expect more impact. It costs £50 to train a street kid. Donate £20 today and we can turn it into £50! A generous supporter has pledged £75,000 in match funding, meaning that every donation you make to the Expect More campaign will be matched. With Gift Aid on your donation and on the match, every £1 you donate will be worth £2.50 to Street Kids, so you really can 'Expect More' from your donation.